This is my 3rd time joining in the fun, and the last week with Sensible Snacking as the theme. Again, if you haven’t taken the time to read through all (most) of the WIAW posts, you are totally missing out! What great ideas!! You just might want to make sure you have had a sensible snack before hand. We I did a major, and much needed, grocery shopping trip this weekend. I found several sensible snacks worth mentioning and my husband found several that I refuse to show you. We go shopping together for this reason alone. I don’t get the stuff he wants (chips, cheese, sweets) and he doesn’t get enough of the stuff I want (sensible snacks). So our shopping trips include the whole family. You might want to avoid the store when we shop. 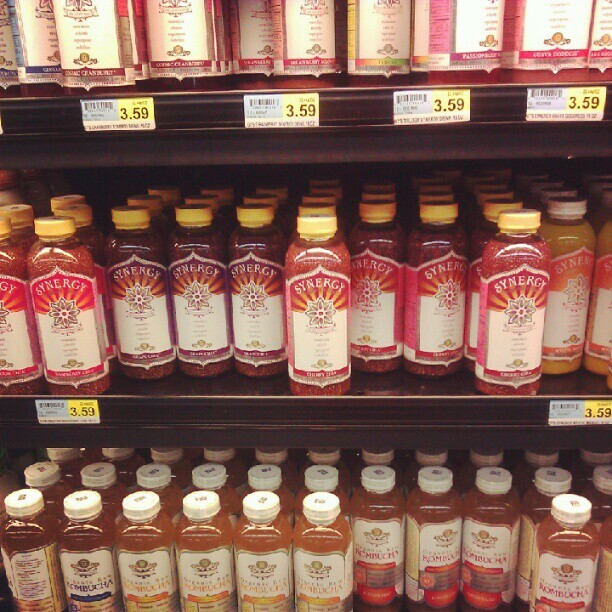 My first stop upon entering the store was to the Kombucha section for a shopping beverage. 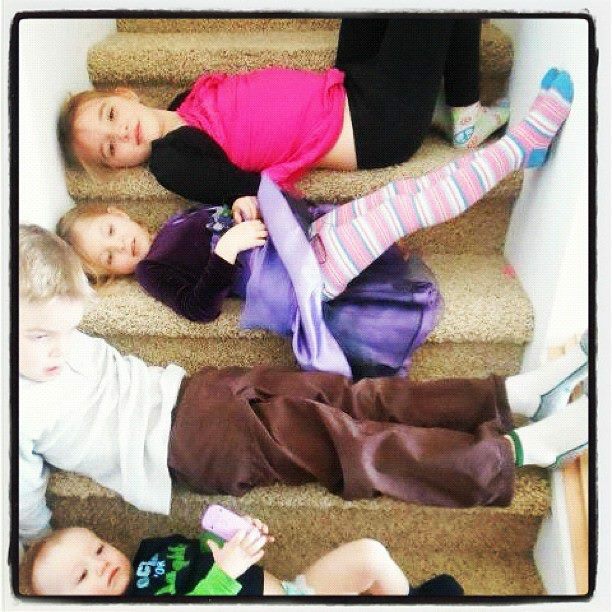 Did I mention I have 3 kids with me? Thanks to a suggestion from Lindsay I tried the mango. YUM! Does anyone else need a shopping beverage? How about a shopping snack? When you shop with kids there should always be snacks. 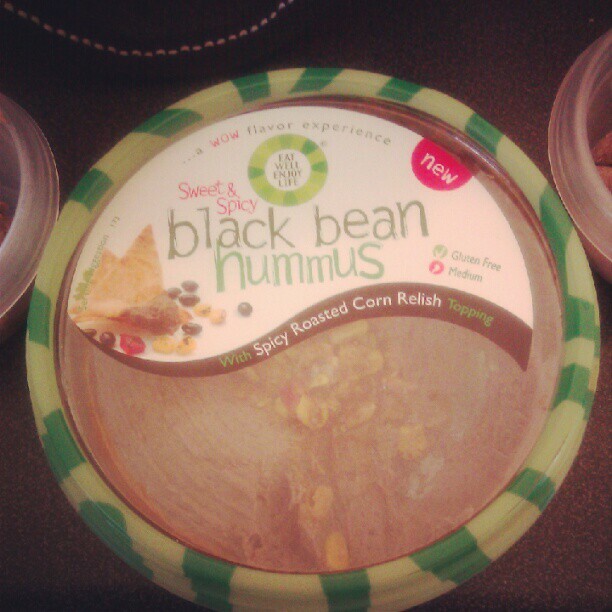 One of my favorite snacks is hummus and this is my new favorite flavor. You seriously need to try it. 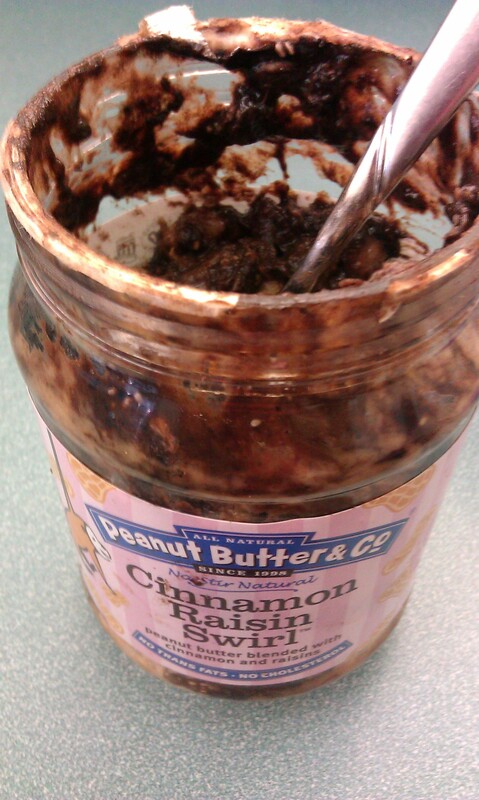 Be prepared to want to lick the container clean or just eat it like peanut butter (on a spoon or dipping your fingers in). It is to die for. Check out some of their other flavors too. Plus the name of their company is so cute, Eat Well Enjoy Life. Totally my motto. You will not want to share. 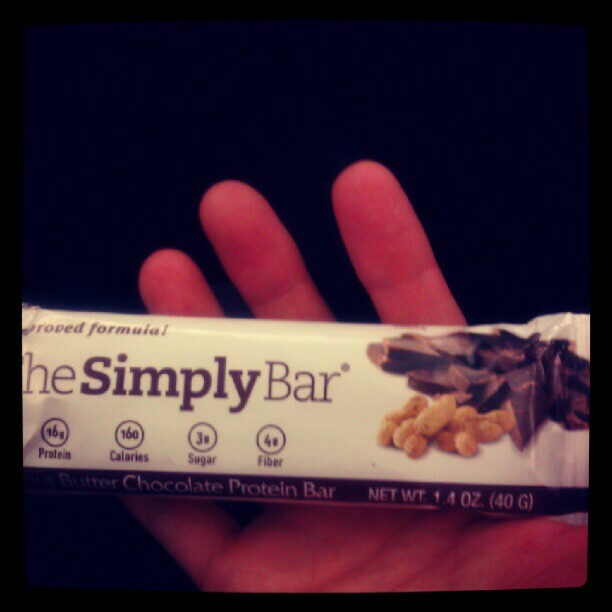 Thanks to Jessica at Bliss & Balance, I have several The Simply Bars to get me through the week! Thanks for the giveaway Jessica! I am REALLY excited for my yet to eat snacks I picked up today! 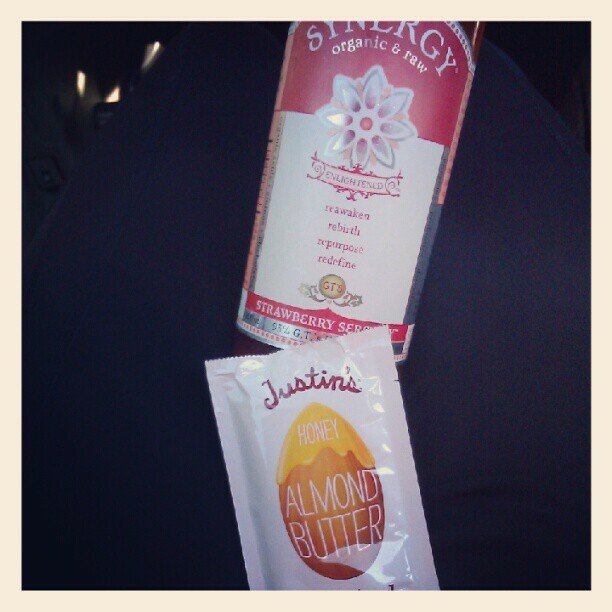 My first Justin’s Almond Butter and another Kombucha, this one suggested by another Lindsay. Strawberry. Can’t go wrong with that flavor! Snacks are such an important part of my day – I teach a lot and like to refuel before and/or after teaching. That pink bag under my animal print purse is my lunch bag. It is huge. And full of snacks (and my lunch). I am super excited to see what Jenn has for us as a theme next month. 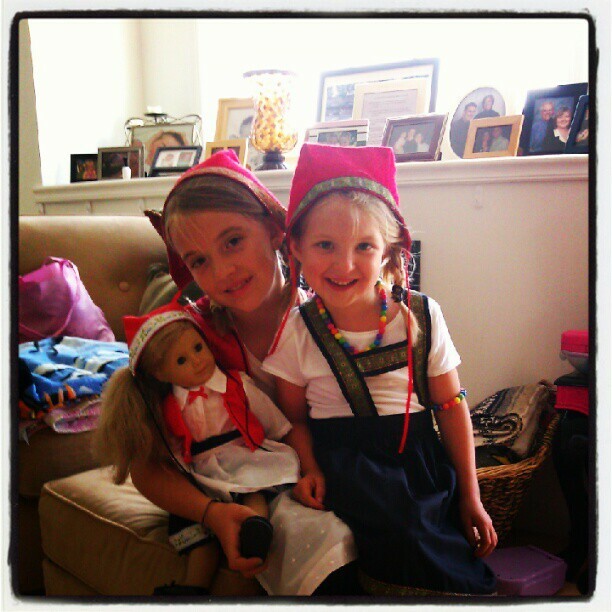 July is a big month in our house: 2 of my Sweet Things have birthdays, and you know what that means. 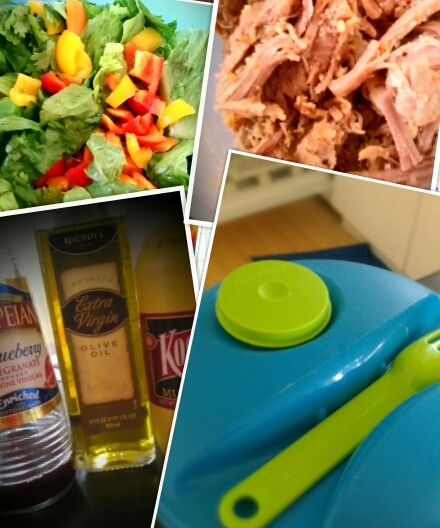 I totally forgot to take pictures of a day of eating… OOPS! As you probably noticed this is only my 2nd WIAW, so I am still getting used to taking pictures of everything I eat. I was kind of bummed and thinking I wasn’t going to be able to participate, until I had the brilliant idea to take pictures of everything I was packing in my lunch. This is like snap shots of what my work eats are going to look like. You can assume any eats after these 2 meals and snacks are going to be only clean, healthy options. Of course. Thanks to Jenn at Peas and Crayons for hosting! Take a peek sometime at all the WIAW entries. Such great ideas! I came home to an empty house. 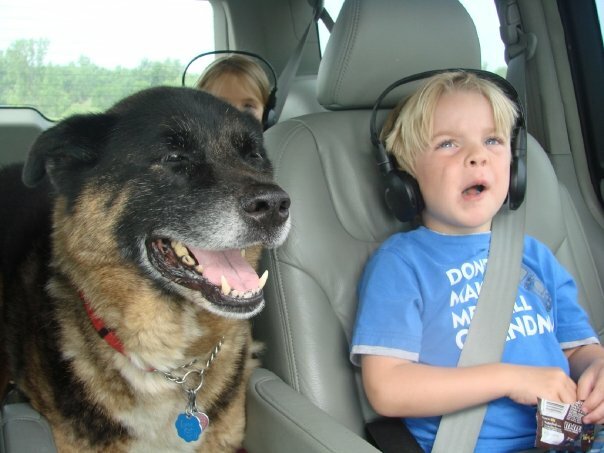 3 kids, 1 husband, and 1 dog off to play in the lake for a few hours. 1 big, easy going dog came to greet me. 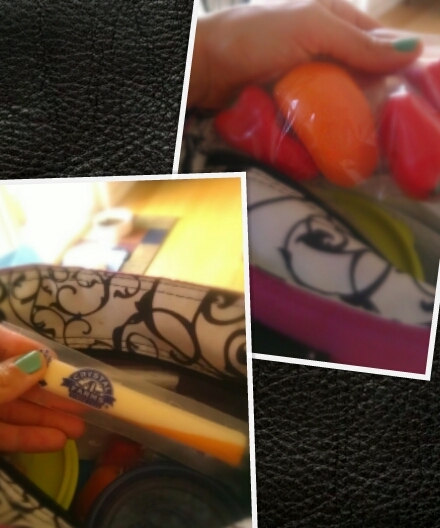 I was pretty sure he didn’t care about me, or need me to pay attention to him, so I decided to pack my work food for today and take pictures of all the goodies. I mean, what else would I want to do in an empty, quiet, house? I sliced the top and bottom off an apple and cut it in half down the middle. 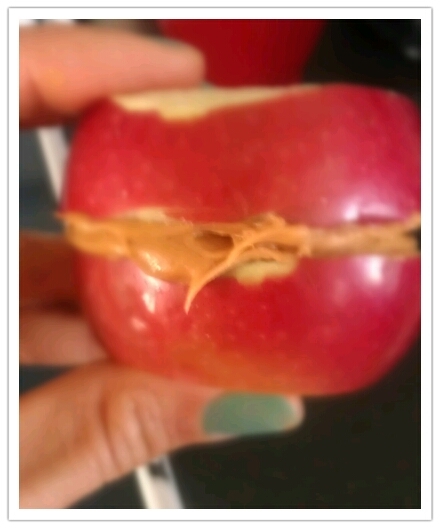 Took the core out (kind of) and slathered peanut butter in the middle. A splash of lemon juice kept it from turning brown. A papertowel kept me somewhatclean. I made yummy overnight oats in an empty chia seed jar. In the mix: Oats (duh), cinnamon, flax seed instead of chia (see the empty chia jar), scoop of Shakeology, a scoop of peanut butter, and unsweetened vanilla almond milk. Oh.So.Good! All the rest of my food has yet to be eaten. Is it weird that I get excited about all the food that is in my future? I love to EAT! I am all out of Kale and Spinach, so my salad consisted of romaine, peppers, shredded pork, mustard, oil/vinagar/mustard dressing, and a bit more mustard. I love mustard. Isn’t my Tupperware bowl cute? It is huge too. My Wednesdays are long and I teach 3 classes, so I need a ton of energy. Therefore I need snacks. 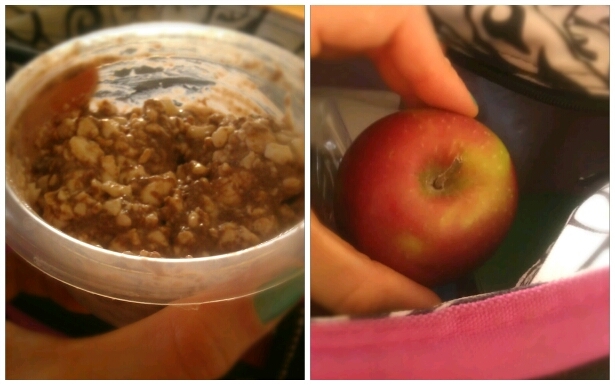 Cottage cheese and protein powder (cookies and cream flavor) and an apple. Maybe I will eat them together, maybe not. (Judging by my rumbling stomach: Probably not). Cheese stick and 4 peppers (all that was left, booooooo!!) 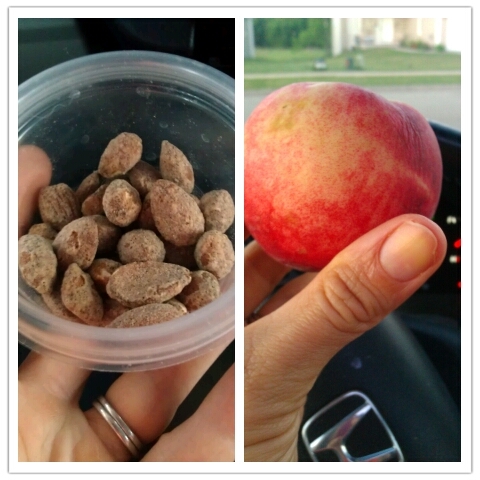 Usually I eat a ton more veggies than this on my car snack. My hubby and I are challenging ourselves to not stop at the grocery store this week and use more of what we already have in the house. This means I am going to have to be really creative in the next few days, because I just used up the last of our raw veggies (besides lettuce). Frozen veggies will be consumed. Not included in this post: Dinner, 1-2 sessions of #teatime12, and lots and lots of water. Questions: Do you get excited to eat your meals? Do you stop at the store a lot during the week, or do you try and use up what you have and do one big shopping trip? A member sent me an email today, asking me if I knew about Pinterest. My response: Where do you think I get a lot of my ideas??? Follow me on Pinterest. andrea_r_lang!!! I create my own workouts and classes all the time, but once in awhile I get bored and need a bit of inspiration. Pinterest is where I go to find that inspiration. 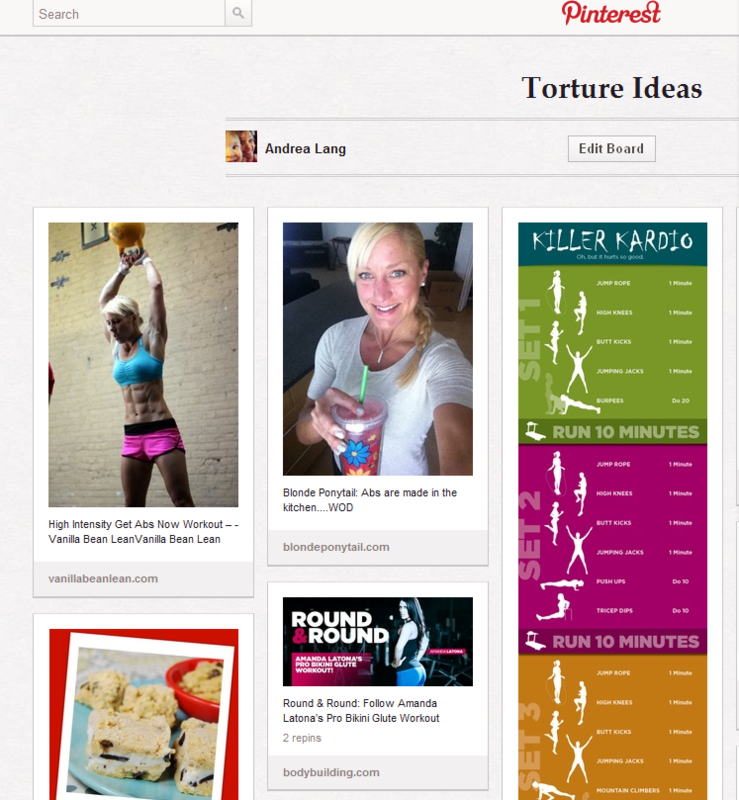 It is also a great place to bookmark all those great workouts I find while reading health and fitness blogs. I am still learning how to create those cool looking pinnable workouts myself, because I have a couple great workouts I want to share. Look for those soon!! Having all these workouts in one place helps me out a bunch. Timesaving shortcuts. Today was one of those days. I needed inspiration. Big time. Thankfully I happened upon Blonde Ponytail’s post from the other day (by the way, she is the pretty blonde in the top, center picture). Jess and her husband have been creating some intense WODs, and her latest one looked like an especially good one. I made some shortcuts modifications on the running (I had to teach spinning right after the workout), but did the strength just as Jess wrote the workout. Considering I have been a little low on energy this week, this workout went pretty well. I did this workout with a member and she said it was awesome! I will say it was a little tough to do the spinning workout I created immediately afterwards. Heavy hills and sprints after an intense workout = heavy legs. 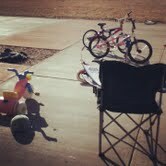 Here they are as they looked when I left this morning (Okay. This picture isn’t from this morning, but I swear they are slightly tanner and a little less Norweigian versions of this exact picture). I can’t wait to see the results of these shortcuts…. 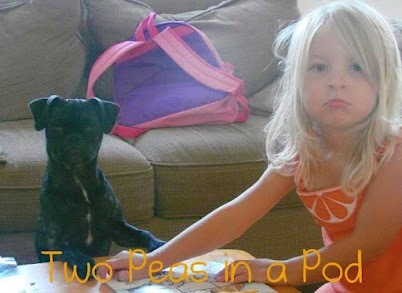 In the spirit of doing Big, Scary, Exciting things, I decided to join in on Peas and Crayons linky party – What I Ate Wednesday. I love to eat. I love to take pictures of those things I eat (and drink). I am trying to write more blog posts. ::Slaps head:: It all just makes sense. Once again this thing isn’t Scary at all. Although it is scary to show you just how much I eat. I started my day at the wee early hour of 4:35am. Billy Joel was singing about how he loves me just the way I am, and it gave me just enough of a jump to get out of bed and drive to work. After my 6:30 am Spin class and a bit of lifting on my chest and triceps, I ate Breakfast #2. I had been saving this jar of peanut butter for about a week, knowing it would be perfect for a jar of Overnight Oats In a Jar (OIAJ). 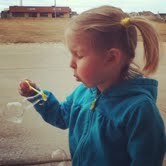 Unfortunately my kids got their grubby hands on the jar and cleaned it out even more. I had to hide it a little deeper in the cupboard, and it turned out perfect. 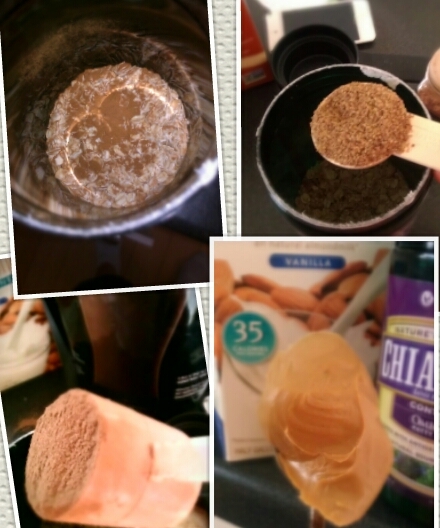 In my jar was a 1/2 cup of oats, TBSP of chia seeds, 3/4 cup of unsweetened vanilla almond milk (to die for!! ), a smooshed up banana, Scoop of Shakeology, and a handful of blueberries. I let it chill overnight and it turned out awesome! Lunch has become my favorite meal of the day – #saladaday time! I loaded this one with leftover citrus pasta salad (need to get the recipe from my friend, it is awesome!! 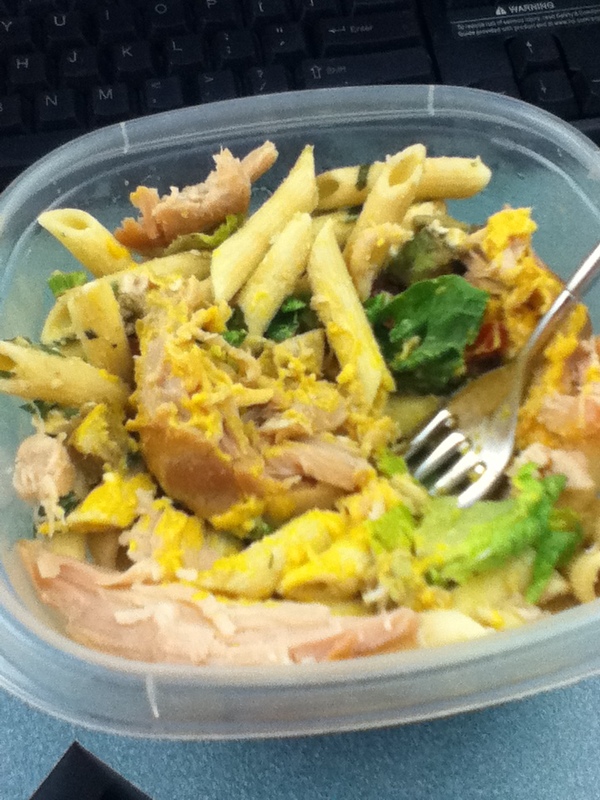 ), rotisserre chicken, avocado (extra – there is some in the pasta salad too), lettuce, and mustard as dressing. I have become a bit of a mustard freak, and it was perfect in this mix. The picture – not so perfect. 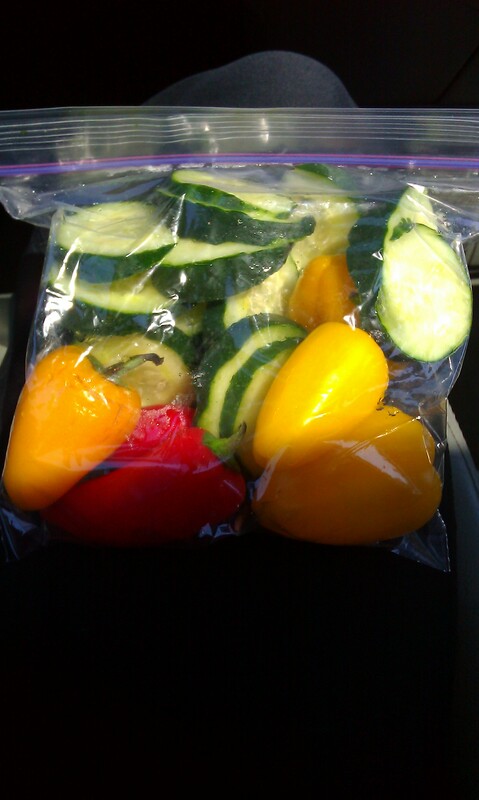 My secret to getting more veggies into my diet: my car snack. I usually pack 2 ziplock bags a day of veggies. I try and get a variety of veggies in the bag and fill it up really full. The first baggy I usually add to my salad at lunch, but the second one I save for my drive home. Those baby peppers are awesome. Chicken – with a touch of cream cheese with chives in the middle – and all spiced up. 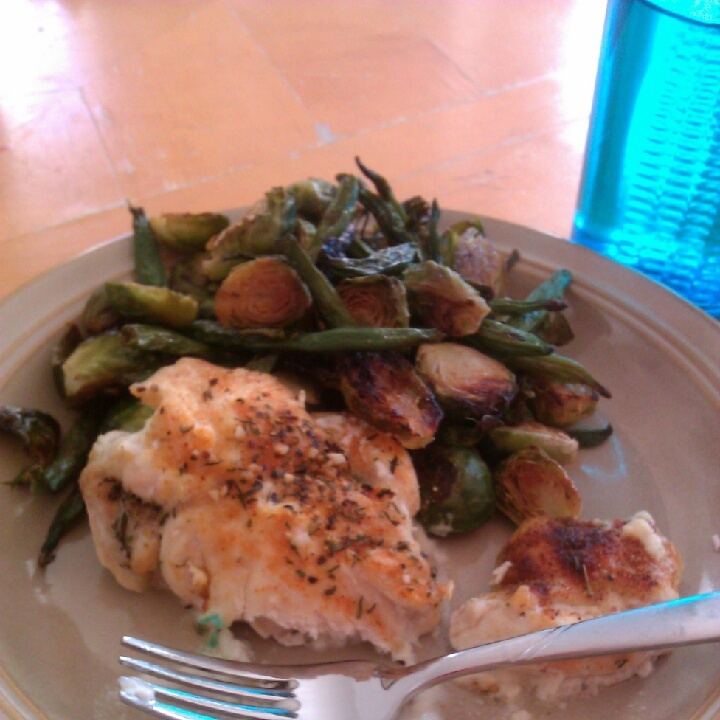 Roasted green beans and brussel sprouts on the side. So Good. The sweet side of me needed a little something, so I made banana soft serve with a tsp of cocoa and half a scoop of Shakeology. Everytime I eat this I am so amazed it is made of bananas. 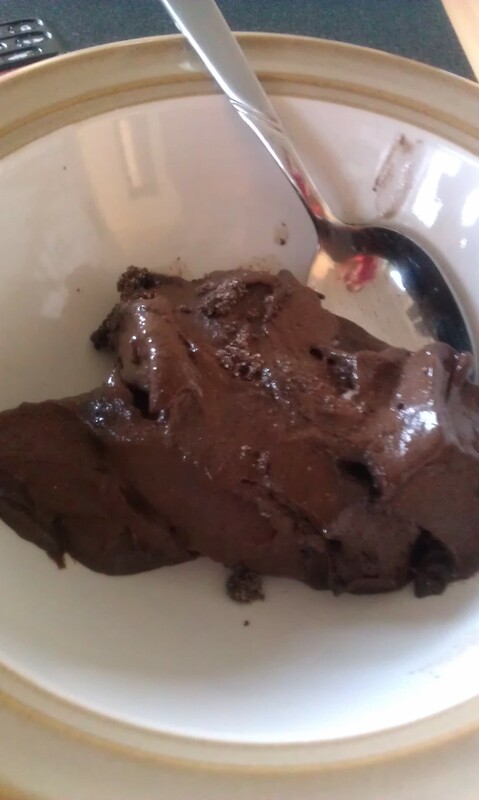 It tastes and feels like ice cream. Eats not pictured: A Zone Perfect bar (forgot to take a picture), a ton of water, and a cup of green tea. My job doesn’t allow me to leave for lunch or even for a snack if I forget, so planning is really important. Along with my 2 ziplock bags of veggies, I usually have Larabars (or other types of bars), and tea available to snack on during my day. I have found, even though it takes awhile, taking a bit of time to plan at night makes my day go better the next day. As a matter of fact, time to get started on tomorrow’s meals. I am afraid of fast speeds and heights. If you bring me along to an amusement park or carnival, be warned, I am only there for the cotton candy and great people watching opportunities. I will cringe and shake uncontrollably look away, while you bravely ride the towering, fast rides. That is me. Facing Fear. Straight on. To say that I am proud of myself is an understatement. I am thrilled! I may have crushed several bones in my daughter’s hand in the process, but I did it, and had fun doing it! Yeah me!! What brought about this act of bravery? 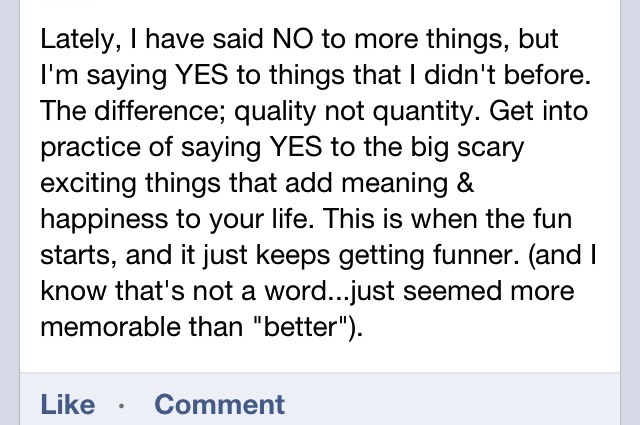 A sign Facebook post from a wise friend. Christi’s sage advice came moments after I had decided to do something I had been wanting to do for a long time. Something that required me to step outside my box and do something exciting. Something “funner” than anything I have done for awhile. Doing this big, scary, exciting thing helped me to realize I need to do more big, scary, exciting things. 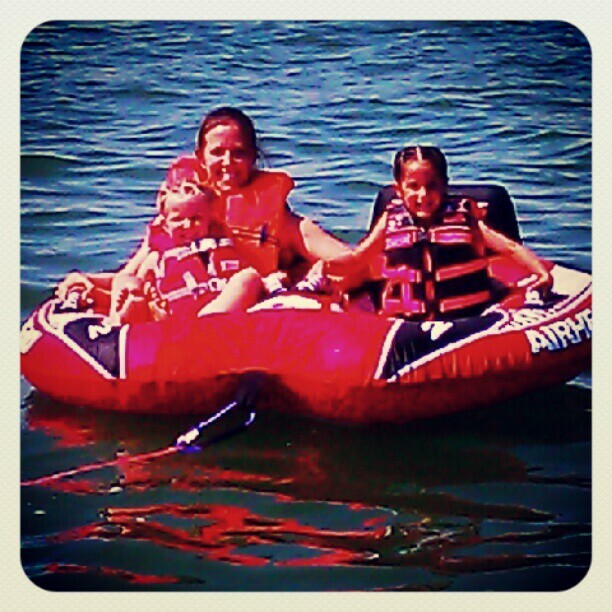 Joining my kids on a tube in green lake water seemed like a good start. Tuesday I will share my Big, Scary, Exciting thing. I can’t wait to see what other Big, Scary, Exciting things I find this summer. I am on the lookout. 2. I have to workout 2 more times today and well, isn’t that enough? 3. I am running late. Sorry Andi, your excuses are invalid. Welcome to April: The Month of the Stairs. 1. I do not make sleep a priority. 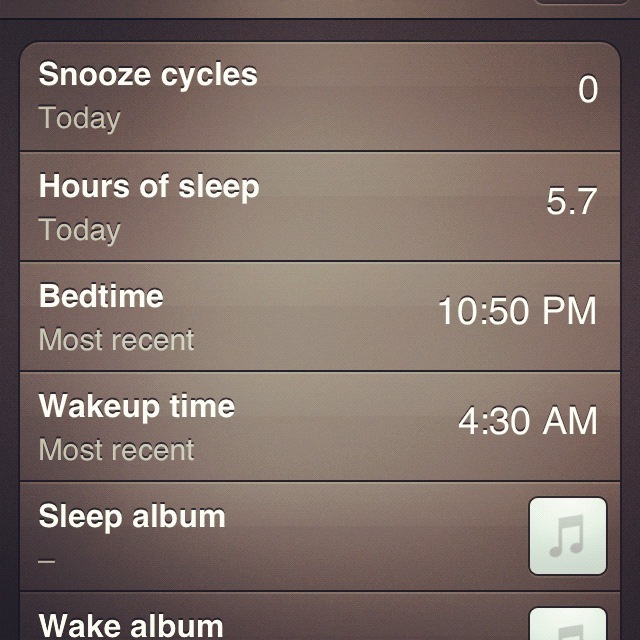 5.7 hours of sleep???!! Not good. I believe my average is up to 6.7. UGH. Therefore, during the month of April (from this point on) I am going to get my average up to 7-8 hours of sleep per night. 2. 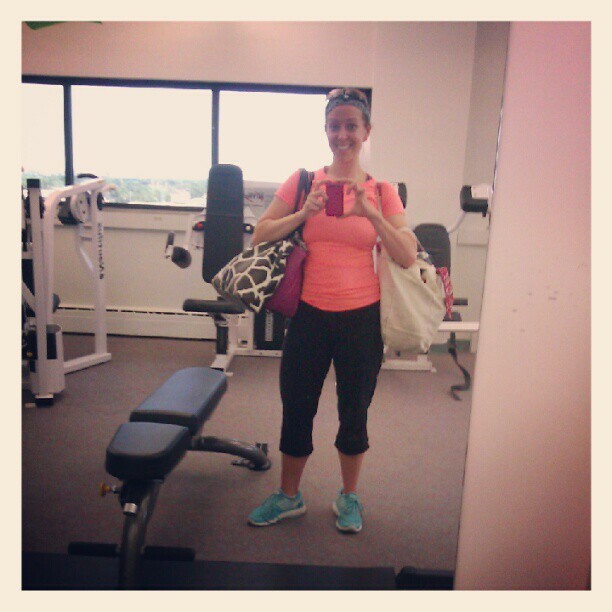 My body is so used to my crazy workout schedule, I need to start adding activity to my times I am not working out. Not sitting so much, taking the stairs, these are all activities I can add into my day to burn more calories. 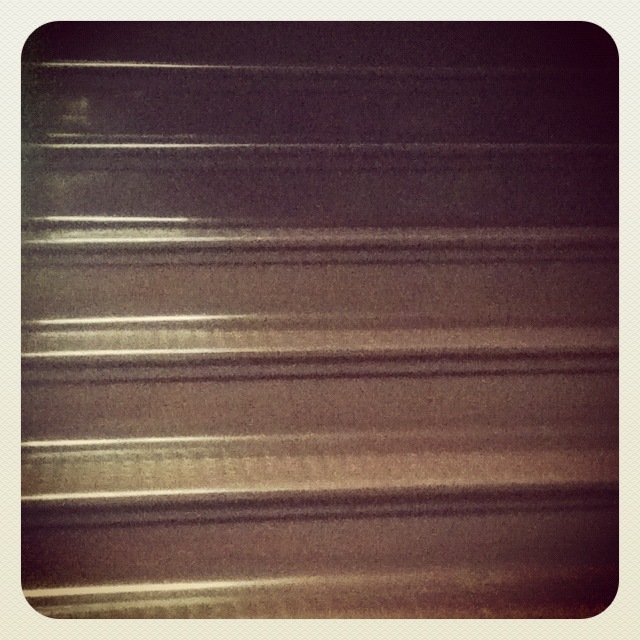 I should WANT to take the stairs to support my active job! 3. Elevator might actually be faster. Day One done!! 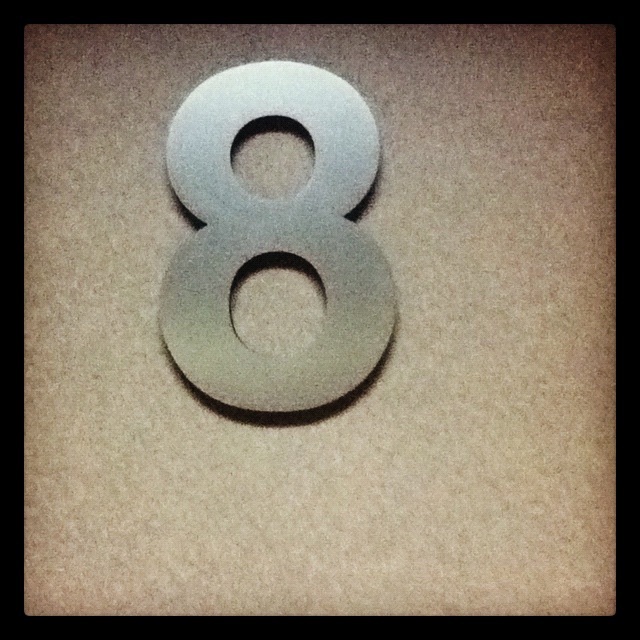 7 flights (on Tuesdays I come in early and I have to come in on 1st floor rather than Ground floor). 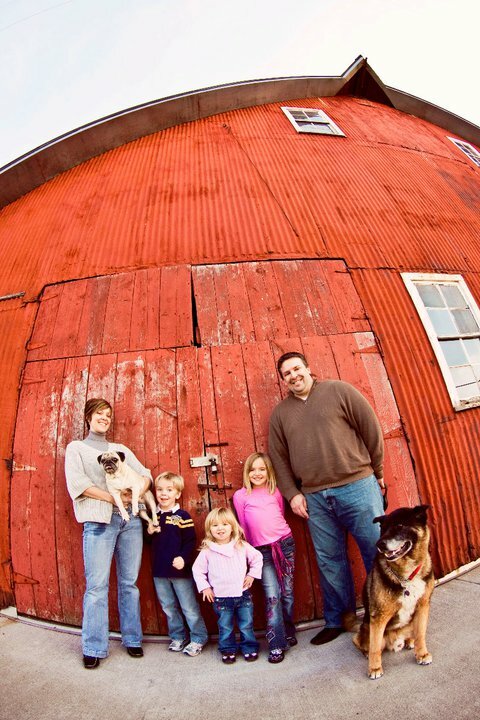 9 years ago today, on a chilly Wisconsin spring day, my husband and I got married. I remember that day it snowed (lightly), our bus transportation (church to reception) never showed up, but in my eyes it was a perfect day. Those nine years have flown by, just as our elders parents told us they would. As I look back I realize how many great things have happened and I wanted to share 9 of those things with you! Yes sadly, in our nine years of marriage, we have taken one trip. Even more sad is the fact that this trip happened 5 years ago. Payton and Tyler still talk about our trip to Jamaica, and Camryn is convinced she was there (she was not even a twinkle in our eyes) with us. 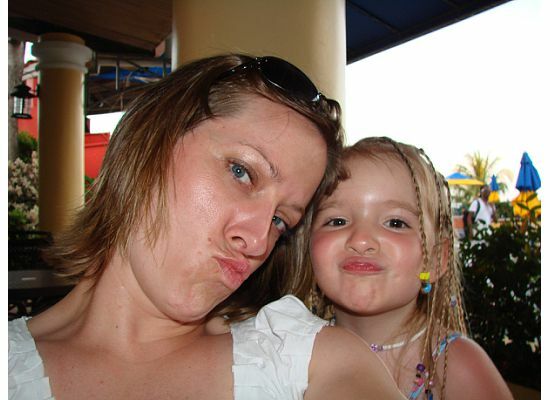 In the next 5 years I hope we take another family trip and one vacation. What is the difference you ask? Well, as a wise woman once told me (shout out to Cynthia Kernodle!! 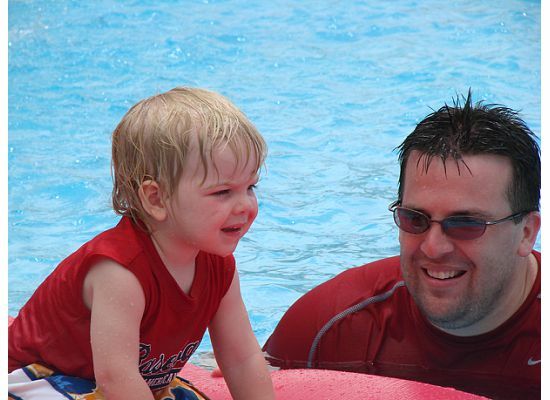 ), when you go with kids it is a trip, when you go with your spouse/significant other/alone, it is a vacation. Makes sense, doesn’t it?! 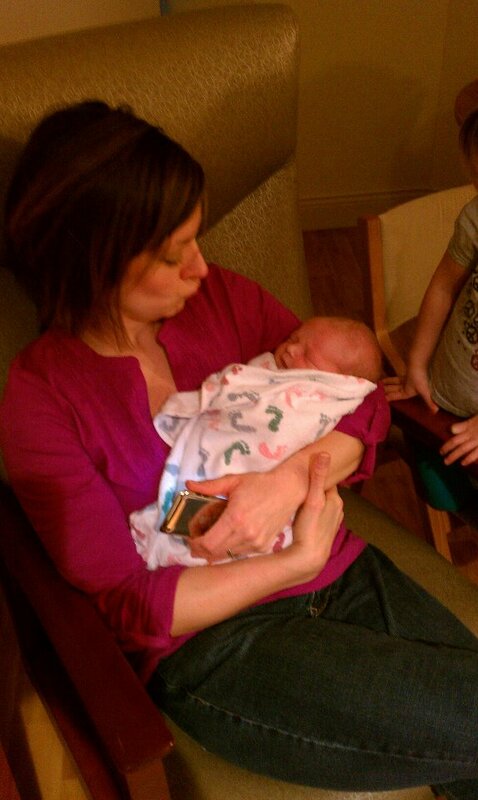 The past nine years have brought us two new nephews (and one more on the way!). Our years in Kansas provided us plenty of time with our second cousins Sydney, Sean, Anthony, Aidan, and baby Michael. 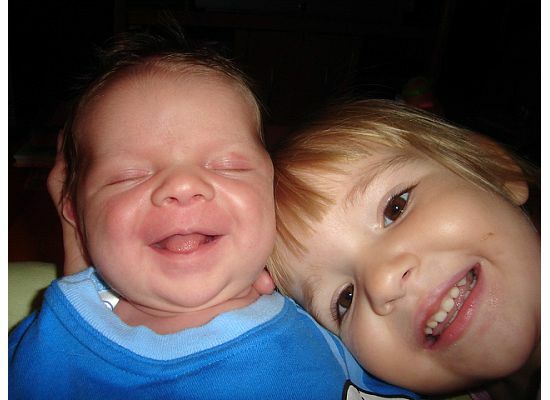 The arrival of sweet Reid and sweet baby AJ mean the kids have REAL cousins for the first time! 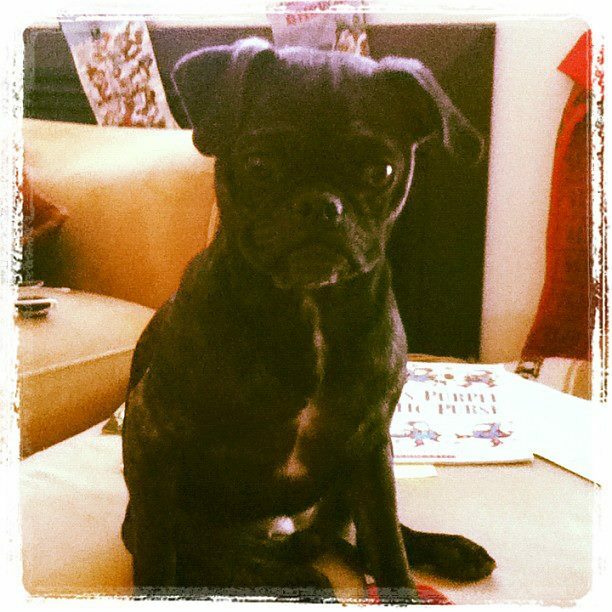 …but a short time later we bought the adorable Kiyabunga (Kiya) after watching Kuma play with a pug at the dog park. Kuma and Kiya were a perfect match. Best friends. 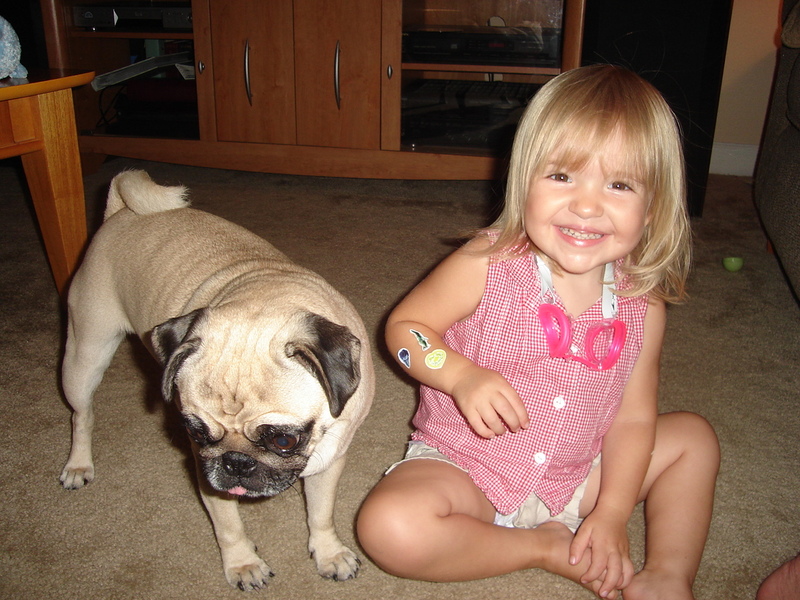 We lost Kiya at Christmas a year ago, after complications from diabetes. This was probably the hardest thing our family has ever been through. Losing Kiya was tough. Puppy Kiya and her first sweet bath. Shortly after the loss of Kiya, we added Miya to our already crazy household. Don’t be fooled by her cuteness. She is a devil. Are they starting to look alike? But as Dorothy learned in The Wizard of Oz, there is no place like home. 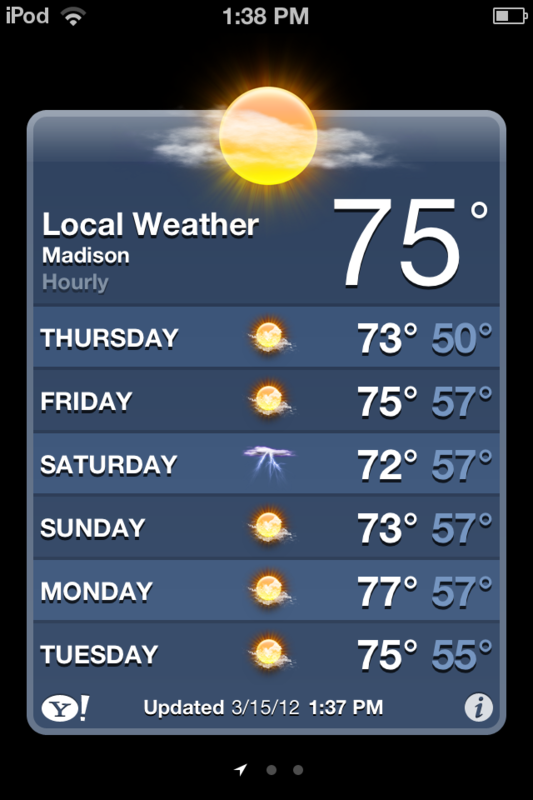 Welcome back to Wisconsin! I still miss her today. 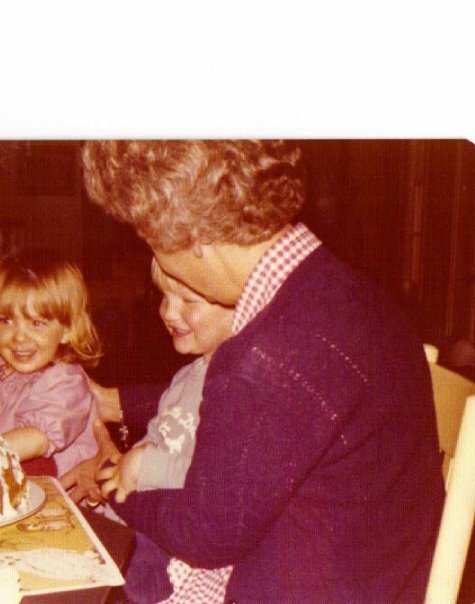 Along with my grandma, these 9 years also meant the loss of my grandpa, Ryan’s grandma, and his aunt and uncle. 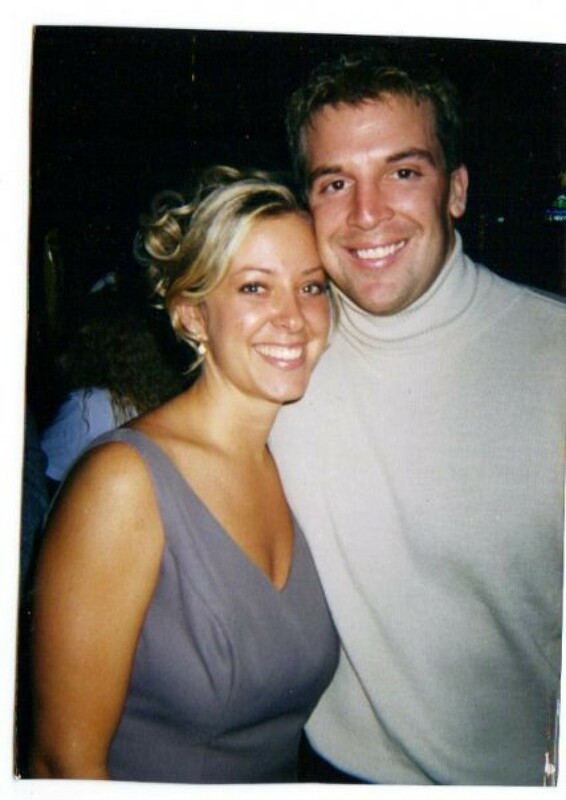 Those sweet years have flown! Stir it all up* and enjoy!! *This week’s recipe called for an extra teaspoon of hope that my Sweet Son’s fever is gone tomorrow!! All my extra sleep got me trying some new things. 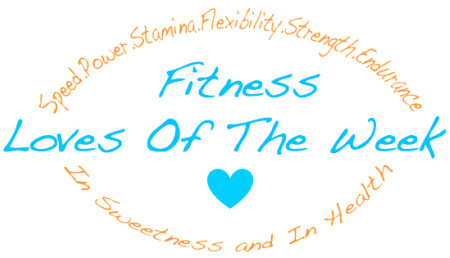 I linked my Pi Day Workout to the Fitness Loves of the Week (FLOW) on In Sweetness and In Health. You should check it out! 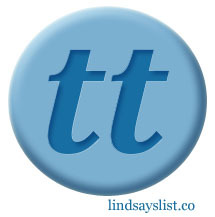 People link up their workouts or other fitness related tidbits they have blogged about during the week. Fun! This morning I woke up and I felt different. Motivated. Could it be March Madness and the opportunity to wear my favorite bandana? 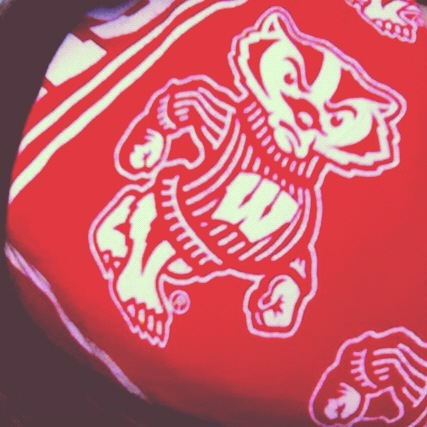 (Go Badgers). What could it be that motivated me to empty the dishwasher AND clean out the filter, all before 8 am? The true culprit: 7 straight hours of sleep. 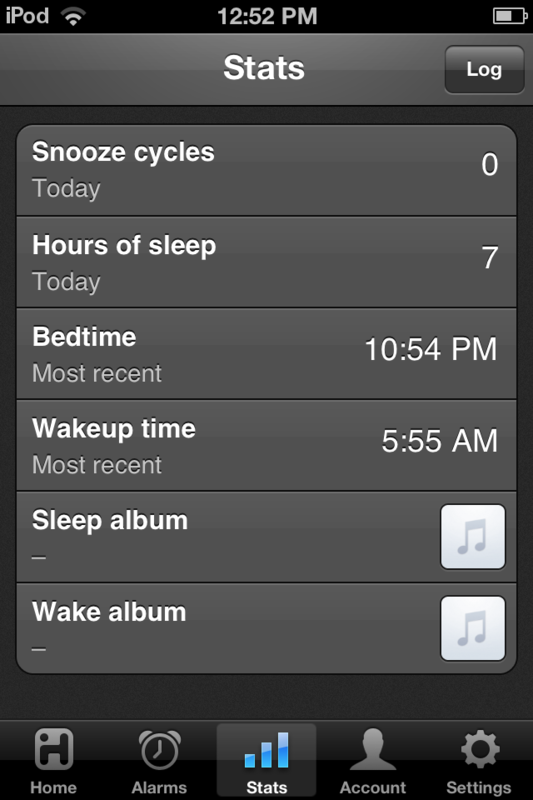 I know sleep has been linked to weight loss and productivity, but I still struggle to turn in early. The way I feel today makes me know I need to change and have consistent 7-8 hour nights, rather than my usual 6 5.